Pastel pencils are wood encased sticks of soft pastel. 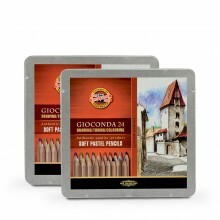 They are ideal for adding fine detail to soft pastel paintings. They are also a cleaner alternative to working with regular soft pastels.